KAMPALA – The embattled former Executive Director for Supervision at Bank of Uganda Justine Bagyenda is reportedly in neighbouring Nairobi, Kenya. Sources have told Parliament’s Committee on Commissions, Statutory Authorities and State Enterprises (Cosase) that is conducting an inquiry into the conduct of Bank of Uganda and it’s officials in the closure of seven banks, with some ending up in massive controversy that Ms Bagyenda, a key figure in the central bank’s drastic measures now under review, was not in the US as reported in her record. “She went through Amsterdam to Mauritius and from Mauritius to Nairobi. She is at present in Nairobi,” a source has told the MPs. The MPs investigating the matter were infuriated on Tuesday when Ms Bagyenda wrote informing the committee chairman Abdu Katuntu that she won’t make it for Tuesday’s grilling, saying she was out of the country until December 13. Mr Katuntu has now given her up to Thursday this week to appear of face an arrest warrant. The furious COSASE Chairman has flagged her in contempt of parliament, a serious offence. 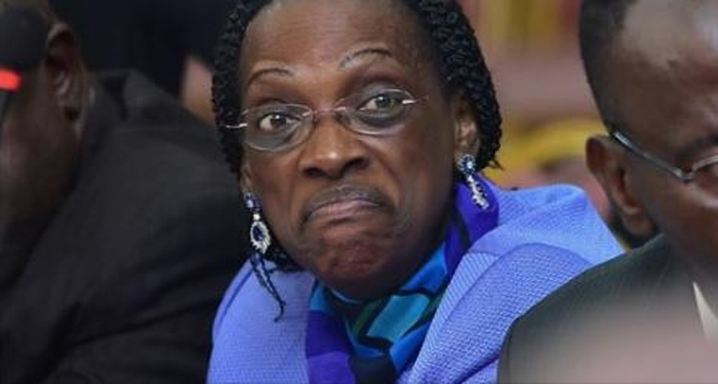 Ms Bagyenda first snubbed the committee on Friday, November 23, when the MPs probing into the closure of seven commercial banks, first learnt she was out of the country. Upon receipt of the letter indicating her trip, the MPs were furious, prompting Cosase chairperson, Mr Abdu Katuntu (Bugweri County MP) to issue fresh summons requiring her to appear on Tuesday (November 27) without fail or face arrest. However, Ms Bagyenda in a letter to Mr Katuntu, asays she won’t be able to appear before the committee as ordered. “Hon. Sir, the current engagement (which is an international summit) I am on was planned long before the Governor’s communication and it is core to my private life. On account of my said engagement and the fact that my air ticket is restricted, I strongly regret my inability to appear before the COSASE on Tuesday November 27, 2018. My scheduled date of return is December 13, 2018. However, I am working with the airline to get a quick alternative using my restricted ticket,” she wrote. Ms Bagyenda says she was not at liberty to disclose her exact return date because of security reasons. “With regard to the fact that I did not state in my letter the date of my return, kindly note that I did it on purpose because of security reasons and the relevant security agencies are aware of my security concerns,” she wrote.